Apple is the leading platform in the digital world, so iPhone apps are the necessary assets for every business owner. The Apple products are known for their style, exclusiveness, and uniqueness. To keep up with its high quality, Apple imposes strict requirements on its developers. It is important for an iOS developer to abide by standard practices for acceptance into the App store and for user-friendliness and usability. 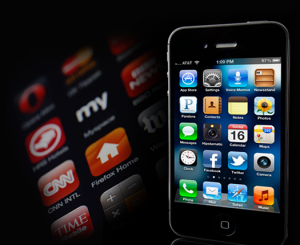 Check out the following tips for companies that want to get iPhone apps developed. Outline the App’s purpose – The first step in developing an app involves creating a mobile strategy considering your business and customer requirements. For instance, iPhone users expect apps to fulfill their specific needs. In order to meet all the needs, developers need to clearly define user needs before developing the app. Define target audience – Your app worth nothing if there is no audience. 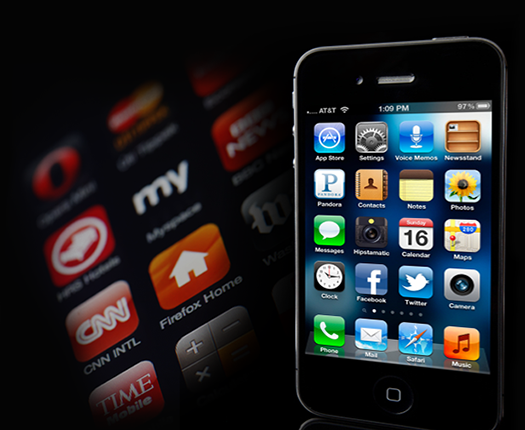 Hence, it is important to develop your iPhone app keeping your target audience in mind. Streamline available features – Rearranging visuals and content for the mobile app will help customers recognize your brand while and streamlines interactions on both your app and website. Keep your app design simple yet unique – Make sure your app allows users to engage with the app without any complexity. Your design needs to be simple enough for hassle-free use and unique enough to grab the attention of your target audience. The app should be compatible with different iOS versions – Your app should support consumers with the oldest as well as the most recent iPhone. An iOS app must support multiple versions of iOS because this will help in widening the reach of your app, hence increases the number of users. Create a striking design – Backed with scientific facts, the average attention period for consumers is not more than eight seconds. So, make sure your app provides excellent, easy-to-navigate design to keep users involved. High-performance app – Your iOS app must be high performing and fulfill customer requirements of speed, agility, and flexibility. If an app is not highly-efficient, customers will lose interest and ultimately delete it. For instance, Whatsapp allows for smooth interaction between users through text, images and videos. Test before launch – It is mandatory for every mobile app development company to carry out plenty of testing before they launch their app. For example, if an app fails the first attempt users operate it, they will not return back to the app, therefore fixing bugs and issues before release can prevent such situation. Set your app’s price – Price plays an important part in the iPhone app’s success. Although free apps sound attractive, it may not be beneficial for your business, especially if your app offers a premium, unique service. The factors that help to determine the price of the app are the development time, development cost, and prominent features. Making an app for a particular business is not an easy task. As to develop an app needs a lot of professional and experienced people. If you’re searching for iPhone development company in New York, contact Soft System Solution. We are the leading mobile application development company in New York.